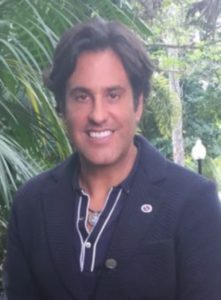 Philip Nicozisis is public speaker on veganism and a credentialed Hippocrates Health Educator, as well as a World Peace Diet Facilitator. He is an experienced businessman, real estate investor, PADI Divemaster, published songwriter and musician, political activist, and physical culturist who changed his health and his heart with a switch to a plant-based diet. Nicozisis has developed entertaining and hard-hitting power point presentations including “The Ethics of Eating,” and “The Case for Vegan,” and has a regular speaking schedule. In the Ethics of Eating, Nicozisis contrasts the pain, suffering, and hard-heartedness required by animal agriculture with a lifestyle of eating plants and sprouts – a culture of DEATH versus a culture of LIFE. The theory holds that the Vegan Revolution is the solution to end interpersonal conflict, because we will never have a society where we treat each other well so long as there is violence required by our meals. That the root cause of our crises lies on our plate! In The Case for Vegan, the health hazards of the Standard American Diet (SAD) are contrasted with the life-giving benefits of plant-based cuisine. These presentations are also showcased to the Health Educators at Hipppocrates Health Institute. Nicozisis is also the lead developer for the first-ever Hippocrates Health Institute smart phone app, coming soon !